You’ve probably found yourself standing in a showroom staring at a frame and thinking, how exactly do you actually build a bicycle? 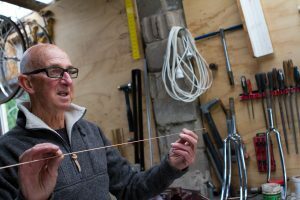 Well if you were to ask Ken Evans, the answer would be the same now as if you’d asked him when he started over 40 years ago – By hand, with a lot of care, patience and love for the craft that ensures each hand-built custom Kenevans bicycle frame reaches the same high quality standards as the one before. Ken’s still hand welding each and every new Kenevans frame, same as always. It all starts with a drawing, where the style, form and structure of the bike take place. Each tube length and junction and angle is meticulously planned and calculated as this will be the bible that Ken will follow from start to finished frame. Consideration must be taken about the riding style, riding conditions and even the rider while designing the frame and this will inform the style, shape and the tubing selected for use. The Jig! standing impressively in the middle of Ken’s workshop, ready for the next build. Once the design is locked in then it’s off to ‘The Jig’! Taking pride of place in Ken’s shed is the frame building jig, an impressive piece of imported Italian bike building machinery. 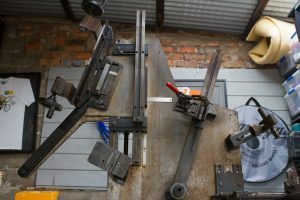 All the measurements from the design are used to configure the jig before each piece of framing tube is cut, prepared and mounted onto the machine. 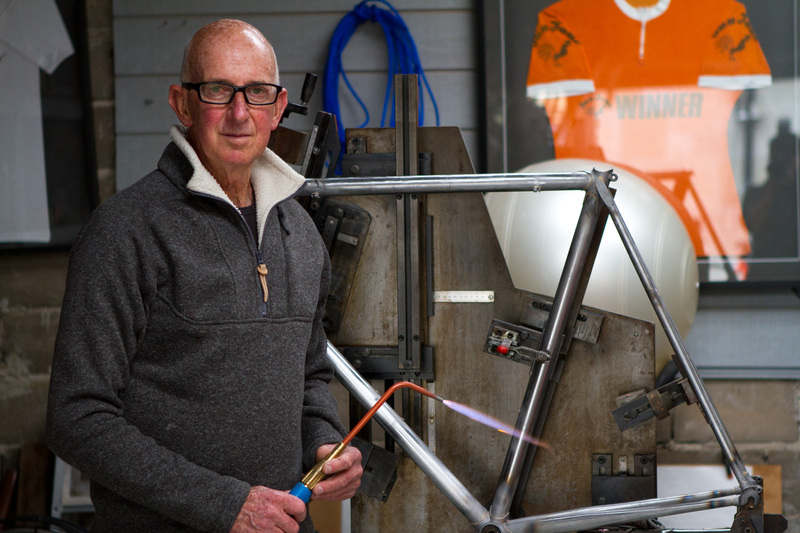 With all the frame components mounted in place Ken will spark up his welding torch and put his steady, practiced hand to work – delicately hand welding each joints on the frame. 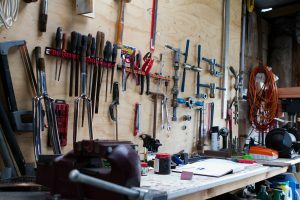 Every tool has it’s pride of place in the Kenevans workshop. Stepping into Ken’s workshop you can see the care and passion for his craft in the way his tools (as well as the bikes!) are maintained, stored and used with care and precision. It’s his precision and care for detail that is a trademark of the Kenevans brand, with each bike getting it’s own range of finishes and flurries – from badges and etching, to the custom finishing of forks and joints – you’ll always know when you see a genuine custom Kenevans bicycle frame. With the core of the bike complete, it’s sent off for a coat of paint before coming back to the shed for the finishes, trimmings and all the fittings you need to get your Kenevans out and about.